Question: Can Anyone Learn To Sing? Well, You Can Take Your Singing Further Than You Ever Dreamed. 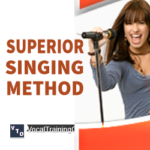 Tap Into This Superior Singing Course. With practice, you can sing better. Here’s A FREE Video To Show You How It’s Done..
To become a singer, you need a voice like the contestants on “America’s Got Talent” or one of the other talent shows, right? Wrong! The question, which asks; “Can anyone learn to sing?” is a common one. And, I hope to give some answers for learning how to sing better in this short article. Truth is, many people out there possess a little talent (or maybe a lot). But, they never really learned to develop their singing voice. What a shame! Thankfully, you don’t have to join the ranks of undiscovered talent. Can Anyone Learn to Sing? Do I Have a Good (or Great) Singing Voice in My Future? Can anyone learn the best singing methods the pros use? All over the world, beginners want to discover the appropriate methods of singing? Fortunately, the response is yes, anybody can learn the best ways to sing! Singing is something that any guy or lady can discover – if they have the passion or desire for it. Below, find some professional standards. And, these standards ensure that you will be able to sing your heart out … like an expert! What many people have no idea about is, the entire body can be used to project sound waves. When you sing, your mouth shouldn’t do all the work. Your chest, stomach area, as well as your face all collaborate to send the sound that your voice box generates. So, this is the main reason you need to have proper posture whenever you sing. by balancing your body on an exercise ball..
and by standing against a wall (huh?). For best results, balance your weight on the three points of the feet (two near the toes and on the sole), while standing against a wall. Poor posture will make you fall off the ball. There is simply no way that you can sit on a big ball without establishing excellent posture. Try this and see what happens! Are You Breathing Right When You Sing? The next thing that you need to establish is appropriate breathing while singing. Proper breathing includes deep, stomach breathing, and appropriate posture. Basically, your lungs need to be full of air whenever you sing. First, take one-second breaths. Then, learn how to hold your breath to control the exhalation stage. Visualize your lungs as a pair of balloons. When you breathe in utilizing your abdominal muscles, envision your lungs filling up completely. Then, leave about fifty percent of the air in your lungs when you exhale. And, at this point, you must how and when to breathe in & out. The last phase? Completely empty the balloons. Tip, only leave “empty balloons” when you come to a long break in the music. This way, you can capture your breath again. The video below shows some examples of breathing correctly.. Finally – What Do You Really Sound Like? Be truthful with yourself when it’s time to analyze how you sound if you want to improve your vocal quality. So, it’s a good idea to record yourself singing to find out. Listen and analyze where you can improve. In Singing, You’ve Got a Friend..
Want to know how you sound to others? Just ask someone else to listen to you sing. For the best results, find someone you know who sings well. Feedback can be really useful at this point. When you get unfavorable feedback, ask what you need to work on. Then, find ways to improve that particular section of your singing. You could be lacking something in vocal technique. So, identify the technical error you’ve committed. Then, ydou are set to perform much better next time. I included this singing tip to help you better your abilities. And, I sincerely hope it gave you something to think over. Now, keep working to improve your singing voice to take your singing to the next level. If you find you still need help (most of us do), I suggest checking out my favorite vocal course, Singorama. 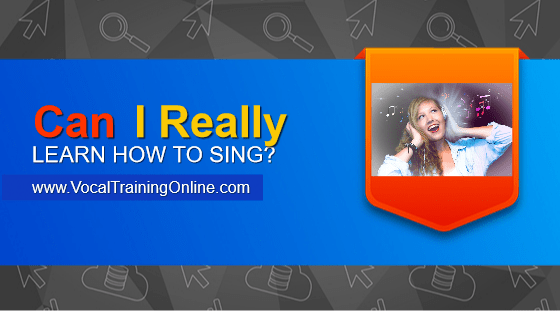 This singing course takes you step by step to singing success. And, it’s not expensive – about the cost of two lessons with a voice teacher. 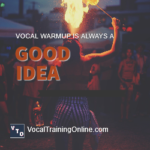 ==> Check out all the Singorama features here..
Vocal Warmup Exercise Is Always A Good Idea – Here’s How To Do It..
“This works better than my chorus teachers’ exercises!” ~ Chelsea commented on these vocal warmup tips. If your singing comes with low voice quality, maybe warming up your voice can help. This article shows how to do it the right way. Isn’t it time to put your singing voice in shape and move on to better vocals?